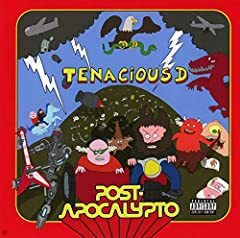 Nick Cino reviews the 4th studio album from comedy rockers Tenacious D, it’s the Rock Album Review for “Post-Apocalypto”! Thanks for watching! Be sure to LIKE this video, SUBSCRIBE to the channel, and SHARE this video with your friends and fellow rock fans!